We are here to talk about one important extension which solves a variety of problems for every business. This extension by MageAnts not only helps you to have a unique identity for your entity but also provides a brand image. 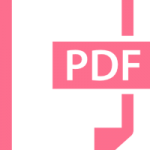 Presenting the PDF Invoice maker for Magneto 2. An all in one tool which helps you not to project your brand but also a unique presence. 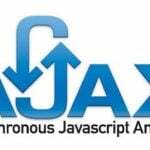 This extension has a whole lot of features that not only help you to customize but also improvise. We at MageAnts provide with world-class support for your brand as well as an excellent backup. 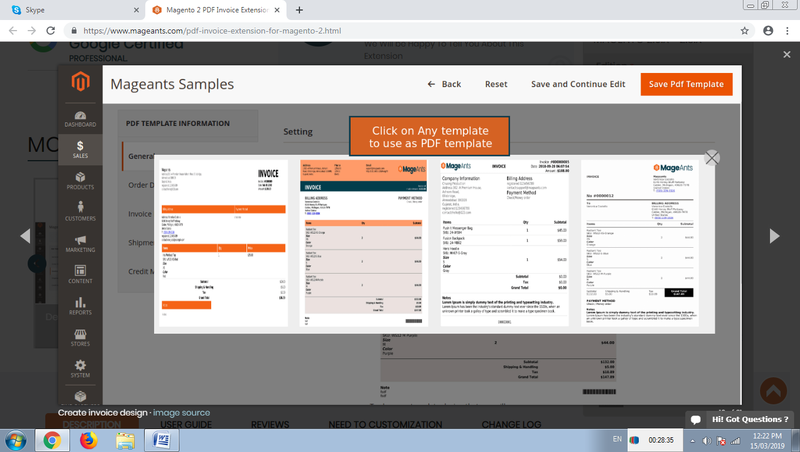 Magento 2 PDF Invoice extension has a variety of templates for you to choose from. Magento 2 PDF Invoice template has a whole lot of customizable features which help you not create a unique invoice but also separate. Magento 2 PDF Invoice has a variety of customizable templates suited for how many different stores you possess. Each Invoice can be customized as your individual store requirement. With this option, you can have your own invoice rather than using the standard template used by everybody. This helps your site to have its unique brand identity. It has an easy to use interface that can be used by anyone with a basic knowledge of HTML and CSS. This extension also provides with a unique feature of enabling or disabling an invoice as you require. 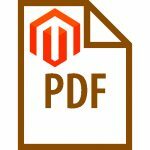 Magento 2 PDF Invoice gives you this unique option to have your custom invoice as per your brand image. 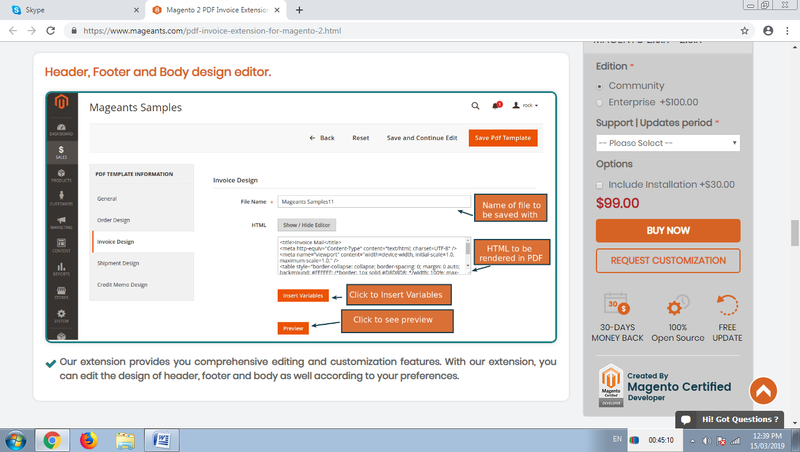 Not only this extension provides with a custom design option but it also gives you an option to edit the header, footer and the body part of your custom PDF invoice. This helps you to have your unique logo as well as you can enter those details which you feel will highlight your brand. Magento 2 PDF Invoice extension not only customizes your invoice but it also allows you to customize the extension. This is a unique feature available with Magento 2 PDF Invoice. It a noteworthy and attractive feature for all Magento 2 users. Not only for your custom invoice but it can also be used for your shipments, credit memos, orders etc. 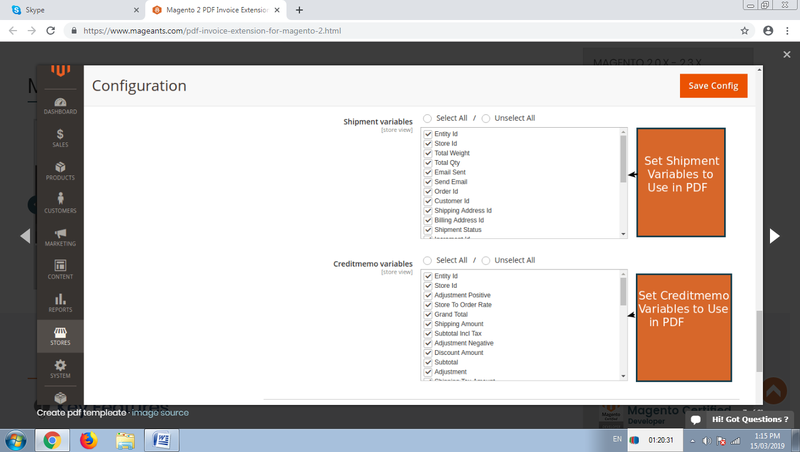 Magento 2 not only assists you in preparing your custom invoice in PDF and saves them for future reference. What exactly does a business owner need for his business? The visibility of his brand and the details to reach his brand. 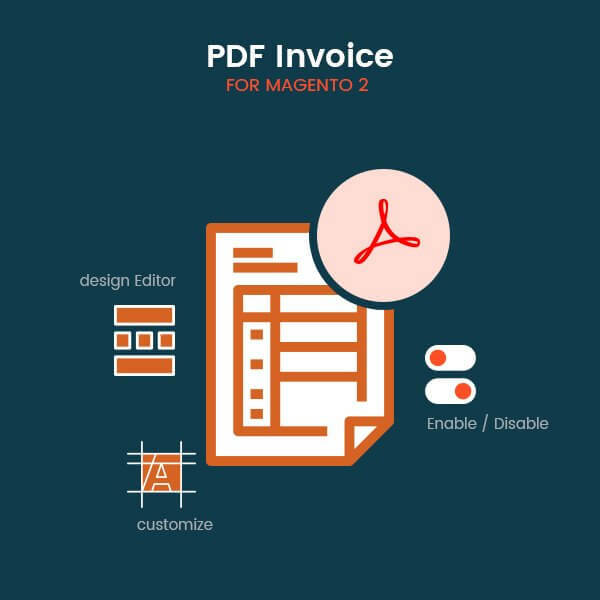 Magento 2 PDF Invoice lets you do exactly that. It helps you insert your brand details and your info so that you can have more visibility everywhere. Customize your PDF by using our wide range of options given in the extension. Set your size, arrange your margins, lift your view and then have your own custom invoice. All this at the click of a button. With an easy user interface and a variety of option, your custom invoice gets a makeover that gives your brand a boost. Every brand needs its own identity, its unique branding to stand out in the current marketplace. 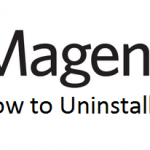 Magento 2 PDF Invoice lets you do that. Its whole lot of customizable features lets you have your own unique identity as well as a brand image. This, in turn, helps you to get more customers and helps you to stand out in the marketplace. It’s easy to use tools and seamless interface not only understands your requirements and also helps you to execute them. Not one but many can be created with this varied tool to suit your individual needs. A team of dedicated professionals at MageAnts provides you with all the technical support required for you to execute your dream of building your brand. Not only custom invoices but also orders, shipments, credit notes etc. Overall to say this extension helps you not only to design custom invoice pdf but also with a wide variety of choices. Its unique and noteworthy features make it an outstanding addition to your business but also give leverage over the other competitors. Its back support also at your beck and call, anytime, any day makes it a worthy investment for your brand. 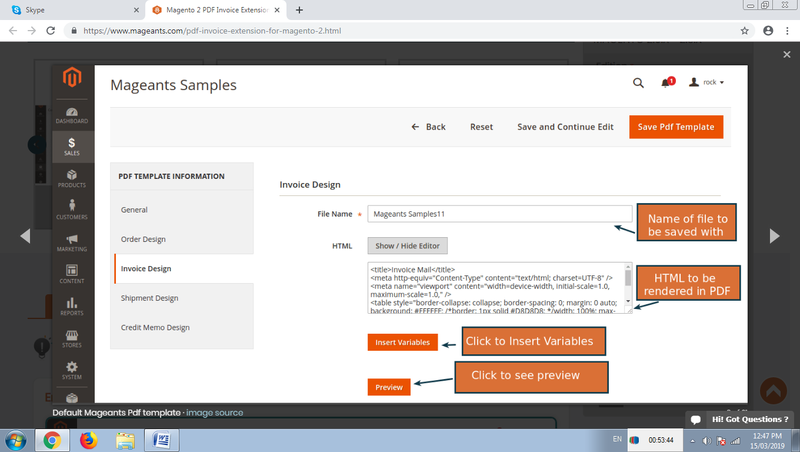 Magento 2 PDF Invoice Extension not only customizes your invoice but also provides a whole lot of other features for your every need.